The first Canados 120’ Caesar is approaching completing at Canados’ superyacht facility in Rome. 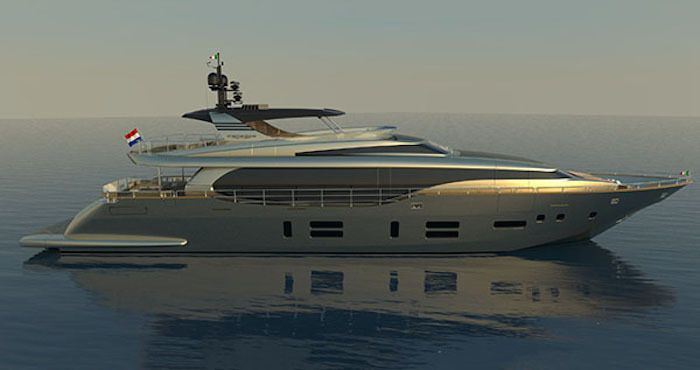 While she is, in actual fact, hull number 21 of the 120 series, she is being touted as the first in order to highlight that the ‘Caesar’ represents the latest version of the series, which has a redesigned superstructure, fly bridge, aft deck and transom. She will be delivered to her owner in early May 2019 and be ready for the summer season, during which she will mostly cruise in the waters of southern Italy. She will be the owner’s third Canados vessel and thus, according to the yard, “her layout extremely detailed and rich specification were designed together with her captain and the client”. All fitted furniture was hand-crafted in house at Canados, while lose furniture was manufactured and custom finished to march the décor by Reflex Angelo. Her interiors were designed by Cristiano Gatto. According to SuperyachtIntelligence, Canados has delivered six superyachts since 2009, having failed to deliver a 30m-plus vessel from 2014-2018. Upon delivery, hull number 21 of the 120 series will prove to be the first 30m-plus delivery that the yard has produced since being acquired by Michel Karsenti acquired in 2016.